Great Food Club-recommended restaurant Amalfi White Prosecco Bar & Brasserie in Melbourne, Derbyshire, has launched a fine dining venue on its first floor. The Ballroom at Amalfi White is located in the building’s Victorian ballroom and boasts a beautiful vaulted ceiling. 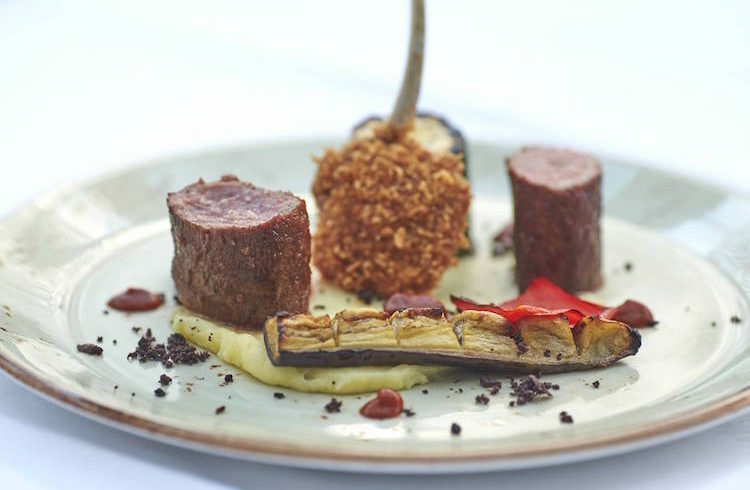 The Ballroom builds upon the success of the 16-month-old ground floor brasserie and is aimed at “diners who want more of an elegant experience within a relaxed but opulent environment”. 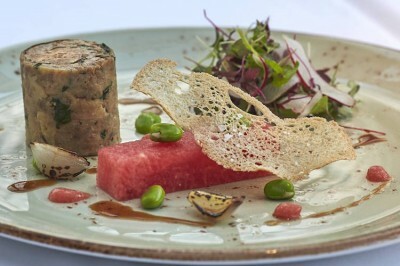 The Ballroom at Amalfi White’s seasonal menu feature dishes such as red label chicken and foie gras ballotine with watermelon textures, sourdough and chicken reduction; and sous vide lamb cannon, crispy cutlet, courgette fondant on pomme puree. Desserts include the ‘Lemon Meringue’ – a take on the traditional dish with almond pastry, lemon curd and meringue cannelloni. Head chef Matthew Clayton has 10 years’ experience in Michelin-rated establishments and will mentor Amalfi White’s young team. “The goal is to achieve three rosettes and firmly put the Amalfi White brand among the best of dining in the region,” said owner Lizzy Devey Smith. Amalfi White is located at 50 Derby Road, Melbourne, Derbyshire DE73 8FE. The Brasserie and Prosecco Bar is open from Tuesday to Sunday from 11am. 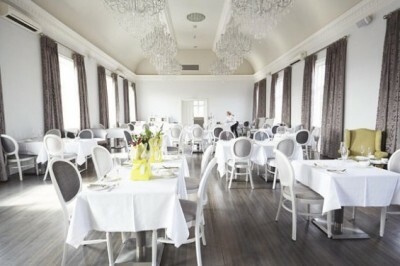 The Ballroom fine dining restaurant is open on Friday and Saturday nights. Call 01332 694890 to book or visit the website.